Brexit Motorhome Countdown Written on 29th August 2018! Brexit Motorhome Countdown a touchy subject? As, you read this article, hopefully, Brexit will not yet have happened. How, is it really going to affect motorhome, campervan and RV sales? Well the terms under which we may leave, still hang in the balance. But, the fact remains, the show is never over, until the fat lady sings! However, I can hear her rehearsing! But, things right now are not yet decided. Anyone returning from Europe, in the past 8 weeks, will tell you one thing. It is now very expensive, to take your motorhome holiday in Europe! Some may say that the current exchange rate, only reflects the short term expectations of the markets. Really, that did not make our motorhome holiday any cheaper! A weak pound has to be inevitable, you may see fluctuations, but, what if the Euro really does strengthen? Motorhomes are set to grow in demand, especially, in the UK. Well that is the feedback. In Europe, the Caravan Salon, motorhome show in Dusseldorf, had record number of visitors! So, how will we really see what Brexit holds, until it actually happens? Our opinion, is that we will have to wait for some time! To see the real effects, it is not going to be instant. There is too much at stake and we need to have actually left to know what unfolds. At which point, the real truths will unfold! A truth that to many will really begin to sink in! Sink being the operative word! Brexit Motorhome Countdown holds a number of issues. There is, always going to be that line of World leaders, waiting in the wings, for those trade deals. (that is what the leave, mob, tells us). I call them a mob because, that is what they remind me of. Johnson, Gove and Farage, with violin cases under their arms. Yes, we all know who the gangsters Moll is; In my best Humphrey Bogart accent, “let’s leave sweetheart, before, they make being European illegal”! Let’s face it, there are many who want to buy British! We, do not want to all be seen in those German, French, Italian, Dutch, Belguim and Slovenian motorhomes! But, by default, one way or another, we end up that way, because, there are very little alternatives. Unless you want a caravan that is? There is an interesting analogy that springs to mind “the B Back Bus” a term for interested customers, who say they will be coming back to buy one, but, never to return! They will all turn up together on a large coach / bus, that’s the legend! That campaign leave bus, clearly stated a huge saving per week, going to the NHS, did you believe that? So, are our motorhome customers in the UK, all on the B back bus? So, why are so many people being led to believe; “we will be in the land of milk and honey”? 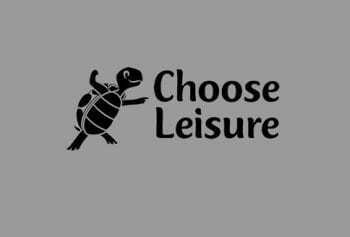 Will our leisure time be taxed? Will our motorhomes get cheaper? The answers may well be yes and no to those questions! Or the other way round no and yes! The real question pre and post Brexit question, what price the pound to the Euro? That determines a lot more that you think! Have you tried buying motorhome chassis in sterling? Just a reminder who makes motorhome chassis, Peugeot, Citroen, Mercedes Benz, VW, Fiat, Ford, Renault? That Euro conversion is going to cost us, no matter, which way you jump! There is no doubt, that investors and traders will reserve judgement, until after Brexit has happened. No need to rush in where angels fear to tread, is there? Sitting on the fence, to see where the UK economy actually lands. Will it be a hard or soft one? Who knows at this point of time? When you stand back and look at how the words “foreign manufacturers” has affected us all. This become very clear, the fact is that we have fell for the cheap China syndrome imports. How did we choose to ignore this and consider ditching our European members. Yes, you hear it from many, that the Chinese have stolen our jobs. In fact, this could not be further from the truth, they have not. 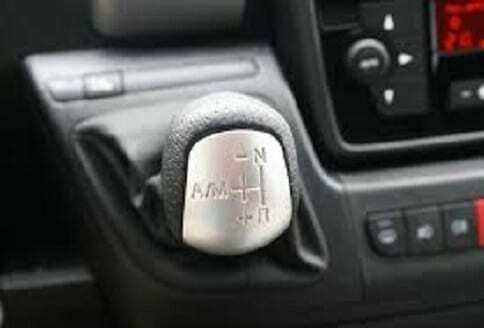 Here is why and how many made in China motorhomes, do you see out there? Because, the facts remain that British businesses and EU members of all kinds and backgrounds, have exported “your” jobs. Moving plants elsewhere to benefit from the lower production costs. Is it any wonder, that we have not that much skilled labour? No, we have no work for them to do in the UK! How is an exit and Brexit, going to get our production costs down? Let alone get our manufacturing efficiency up. How is Brexit going to assist with all of those issues? In a nutshell, we seam to have failed to even acknowledge, that stagnant rates of pay, low paid workers, and zero hours contracts. All are the beginning of unrest. Is this going to escalate and cause more extreme problems. So, how do we break the cycle? Jobs need to improve in quality, security, and pay rates, things have to be shaped to meet products looking value for money. Hey, I want a pair of those rose tinted glasses please, the logic of many, regarding Brexit, have them on, all the time. Just look on the label before you buy them! Surprise, surprise “made in China”! Many of the brexit leave mob, think just because we import more than we sell, we shall get a good deal. Ask the question, how does the UK economy, in the real world function? With approximately 80% services, hotels and catering take up a good proportion? Who stays in hotels? Tourists, with their strong Euro’s so, that will keep them busy! If we have the workforce to fill the demand gap? Apparently without European workers, we will and are becoming short of workers. We hear of all the trumpet blowing, how brilliant our financial services are. So, from the worst paid jobs, in the hotels and accommodation sectors, to the highest paid, in financial services. With not a lot in-between. So, I am a European coming to earn pounds, then take home and convert back to Euro’s, at a poor rate! No, I am a top banker, I am going to stay in dear old Blighty and earn some weak pounds! On both counts “pull the other leg it has got bells on it”! Hardly worth a mention now, staying that is! As we keep listening, Brexit means Brexit! So, voting to stay to many may end up in leaving, in the UK that is. Now, that is concerning to say the least! A mass exodus of EU citizens, will leave us in many sectors, short of both skilled and none skilled workers! That is a fact not fiction! Look at the net migration figures, in the coming months. Now, that has to also reflect on UK motorhome manufacturers. Already, we see motorhome dealers, advertising endlessly for technicians, salespeople, cleaners apparently to no avail. So, that should be sending alarm bells ringing out there. There is no way that business will grow, without key people and an incentfied workplace! Well step back a moment, is Leisure time an answer? What is your average motorhome owner, going to be doing after Brexit? 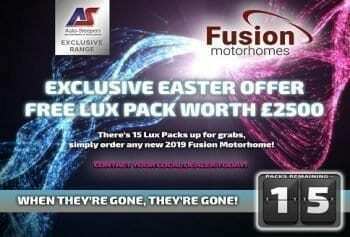 Will they be buying them on more innovative, motorhome finance packages? Who buys a new car theses days? No one is the answer or very few, apparently circa 95% RENT them! With a PCP (personal car plan). Something, that could well end in tears. Why, because, oversupply will in the end, hit residual values! That will then sort all those cheap rentals, as someone, will have to take the loss! So, where does that leave any motorhome procurement plans? Wide open to adopt a similar package? In fact, we wrote an article called “Battle of the Brands” recently. 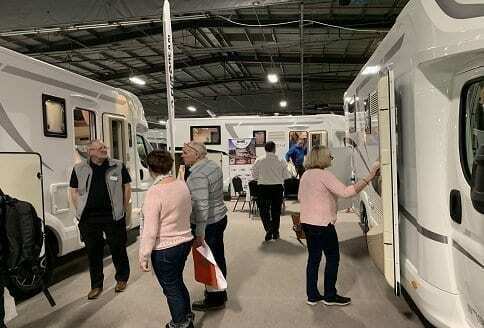 Two of the largest motorhome manufacturer groups, Hymer and Trigano Group, are about to hot up the UK motorhome market in 2019. Maybe, we have a number of clues, as to what is going on in the UK. With the ever increasing motorhome and campervan demand, now beginning to bite. We now have active motorhome rental businesses, growing quickly. That makes renting affordable, will ownership for a longer or shorter period enhance that? In the UK, We have a very large caravan industry, that is still in demand. But, for how much longer? 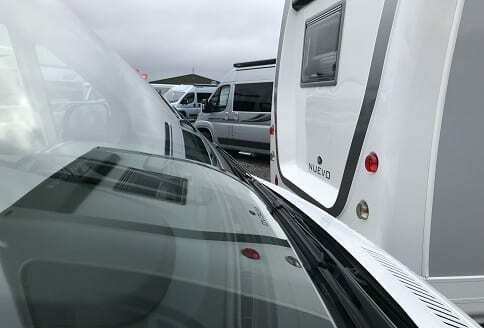 Caravans, may be cheaper in comparison to a motorhome and appeal to a younger family buyer. However, is the motorhome, about to make a real fight of it, for that leisure spend? House prices high, thus, provides equity releases, that in turn provides funds, to buy a motorhomes. So, will motorhomes manufactured be up for that demand? High Euro less value? Weak pound great value, some of the issues would go away. Back to strong Euro and weak pound, yes you have gone full circle. However, only if you have the workforce! Where do you get the skill workforce from? Surprise, surprise the EU! How long do we have? Not a lot check the clock it is ticking! Just click our logo to see how long! Is there a clear strategy here for the UK motorhome manufacturer to look at things and say lets do it? We urgently need a younger generation to understand, we cannot all be rock stars and professional footballers! How will you be able to buy house as a 20 to 30 year old today? Leisure is a great opportunity to go hand in hand, with the growth and tourism, providing some opportunities. If you look at the national statistics, apparently, the unemployment rate is relatively low! So, how is that one going to be worked out? Especially, as a substantial number of migrant, seasonal and settled workers who are in work? Where are the jobs with real incomes, to pay bills and mortgages? Are we really a land of relative wealth? How comes our young generations, are unable to buy homes? Renting is hardly the answer, as rents are high, and pay is generally low. There are exceptions, but, we seam to have a huge inequality compared to other developed economies. So, lets ask the leave mob, how exactly, is Brexit going to change that? Where are the jobs? Where is the investment and how will they be promoting the leisure world incentives to grow and employ people? No doubt, they will all be on the B Back Bus! When you switch your TV to spend 21 days in July, with “Le Tour De France”! Just seeing all those motorhomes following the largest sporting event. Does that not tell you something? Our manufacturing sector is widely accepted as being small, in comparison with other EU countries. 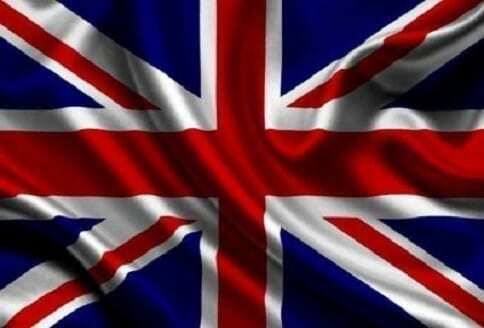 Where did we get that notion we are still Great and we are going to put the Great back into Britain? Motorhome manufacturing and incentives may well help! Well, wake up and smell the coffee, Since well before, we joined the EEC, we have been in decline. Having, been notoriously reluctant to innovate and invest. 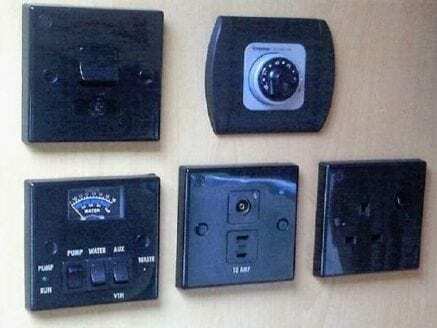 Where are all these new products, who is going to invest in new manufacturing capacity? In the past and now the future, with the floating exchange rate, we will still need to import as well as export, in order to benefit from economies of scale. Investment decisions, rely on present capital employed, and a word that is often forgotten “profit”. We know we are in a capital intensified industry. You could say, at times motorhome manufacturers, are faced with making savings. On specifications, everyone wants all the bells and whistles, usually at no extra cost! Therefore, somewhere, between difficult and impossible is that task! There is no doubt that exchange rates fluctuates quickly. So, consider why with such wide risks, would you want to import at high Euro prices. The margins, are needed, but, there is a limit, to what can be passed on to the customer. Will Brexit change that? It could actually make a weak pound very attractive to a European buyer. So, let us leave the best till last, that VAT at 20%! Here we have a real conundrum, if you reduced the VAT on new motorhomes, then we have a steeping stone to success. 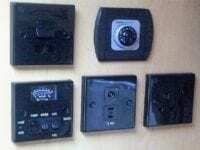 Especially, if incentified to be environmental friendly. So, before your car manufactures and dealers, shout foul red card! We are looking at creating two things. One, build an infrastructure, to incentify tourists, to rent motorhomes in the UK, or come over in their motorhomes. Bringing with them their Euros and spending power! Two, provide a boost to motorhome ownership and make them more affordable. This would then help UK motorhome manufacturers, to grow and thus, provide jobs, training and skill development. So, what is the downside? Well there is another upside, as yet no downside other than the Battle of the Brands. You will then have families taking motorhome holidays, in the great outdoors. How many places in the UK have you been to visit? What was the cost of that all in package abroad? How long did you say you waited at the airport? Motorhome rental makes sense, an adventure for the kids and a way to learn new skills in enjoying yourselves! 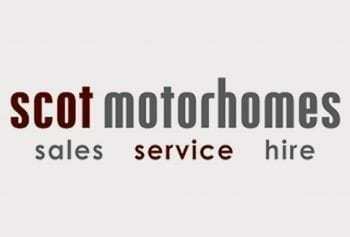 Motorhome ownership, well why not, today take an average new motorhomes at £60K that now with no VAT sits at £48K. If you consider the knock on effects, it could be huge for many people. Helping in employment, developments and making investments a no brainer. We need something radical to shake up things. Otherwise, we will just see costs spiral and when you consider all the other implications. Yes, no matter if you are a leaver or a remainer, this does all become, very concerning now. Have your say and join our motorhomes campervans Facebook Group. It’s FREE!